Hi Perodua Kancil enthusiasm .. Here are the wiring diagram for auto flip side mirror for Perodua Kancil. Auto flip side mirror taken from Daihatsu Mira L5. 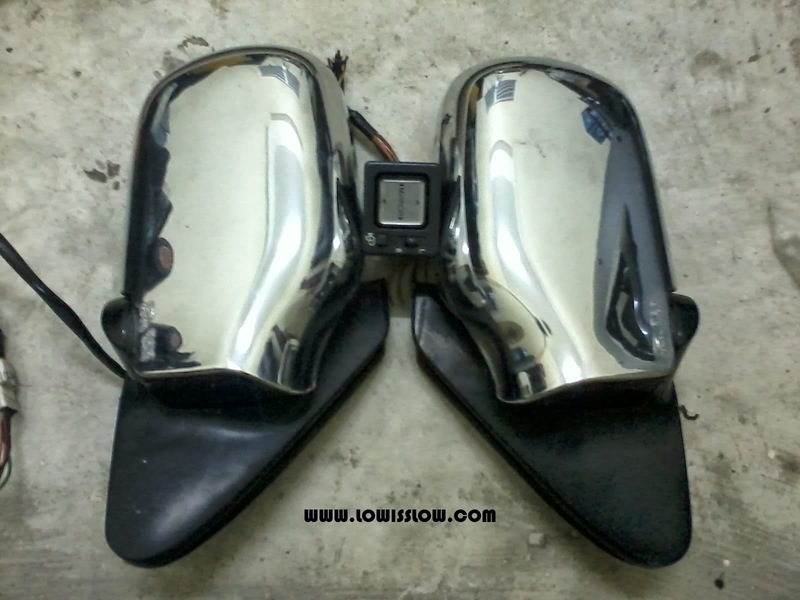 Auto flip Daihatsu Mira L5 chrome side mirror complete with switch. 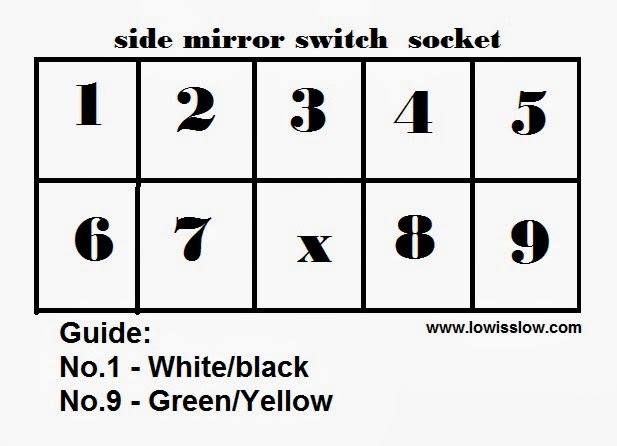 Lets start from side mirror switch. Got 9 wires behind it. 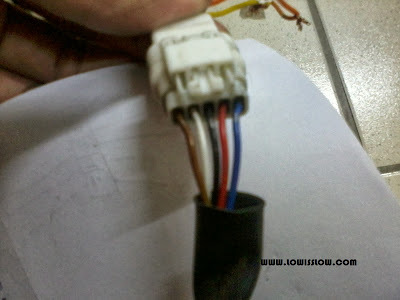 5 wires on top, and 4 wires under. refer to the diagram below. 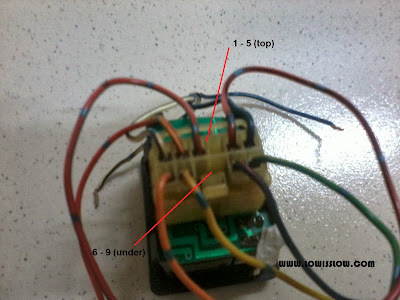 Make sure you understand the diagram before you start. 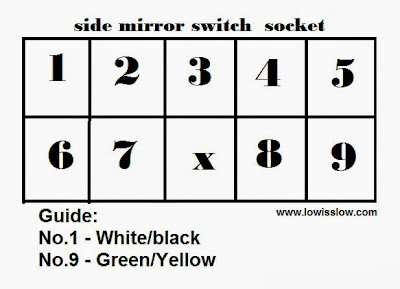 On mirror side, refer to diagram below. 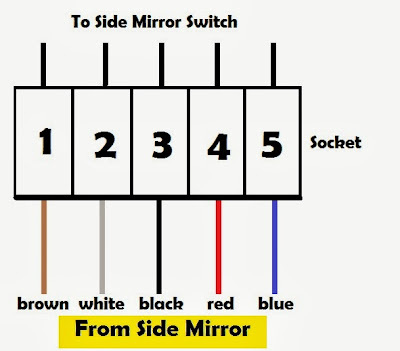 Connection will be based on number/wire colour from the side mirror. Get it? So, here are the connection points..
Thats all. DIY is great! can we make the mirror auto flip off when we switch off the engine and open when switch on the key.. if can, can you show how to make it happen. please. can i have kancil non auto flip wiring diagram? thanks. 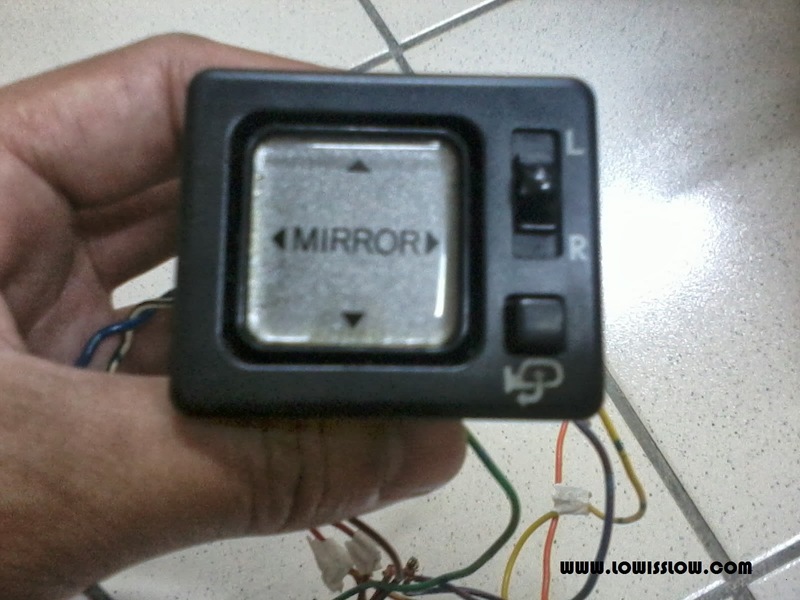 did u knw how to install about daihatsu charade autofli side mirror with 5wire? Saya Andre dari Indonesia, mau hendak nanya, Daihatsu Mira L5 Flip Mirror dijual tak?